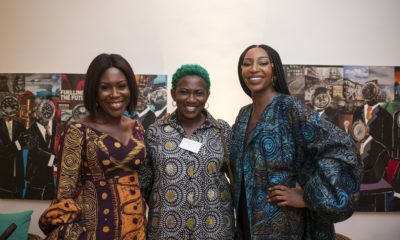 Women in Business for Good is a series designed to showcase women in the social innovative space, working for the collective advancement of their people. Find out more about the other amazing women featured in this series HERE. Next on our line up is Ndeye Amy Kebe, who is an ICT entrepreneur. 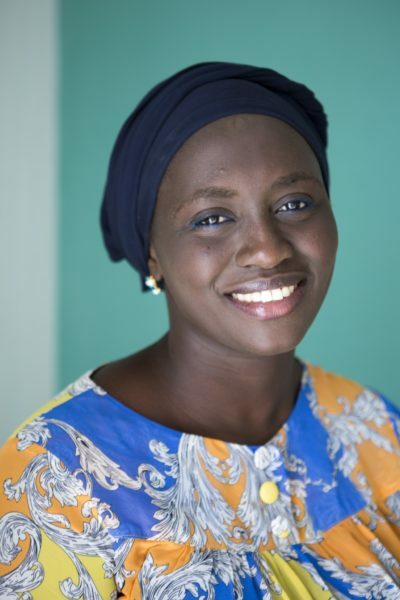 She is the founder of Jokalante and is based in Senegal. 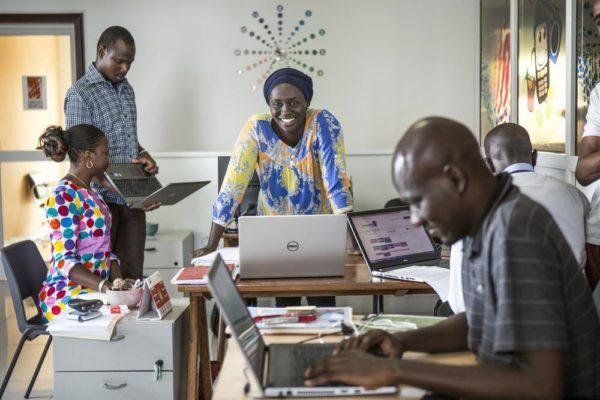 At 33 years old, Ndeye Amy Kebe Sylla perfectly embodies the spirit of her generation of young African female entrepreneurs. 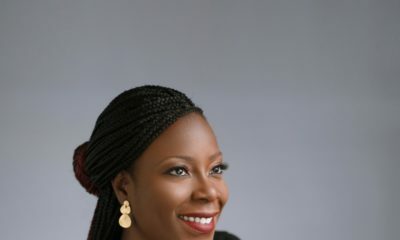 Passionate about Information and Communication Technology (ICT), in 2015 she launched Jokalante (meaning dialogue in Wolof): a company that is developing interactive communication tools aimed at fostering and disseminating best practices in the fields of agriculture, nutrition and animal welfare. According to the country’s National Agency of Statistics and Demography, in 2013 the number of farming households in Senegal stood at 755,559. Moreover, agriculture employs 69 per cent of the active population in Senegal and supports nearly two thirds of the country’s (still mostly rural) population. So it’s no coincidence that in 2015, two years after obtaining her master’s degree, Ndeye Amy Kebe Sylla came up with the idea for Jokalante; an atypical communications company that develops innovative communication strategies, notably targeted at encouraging behavioural change and development in the fields of agriculture, nutrition and animal welfare. 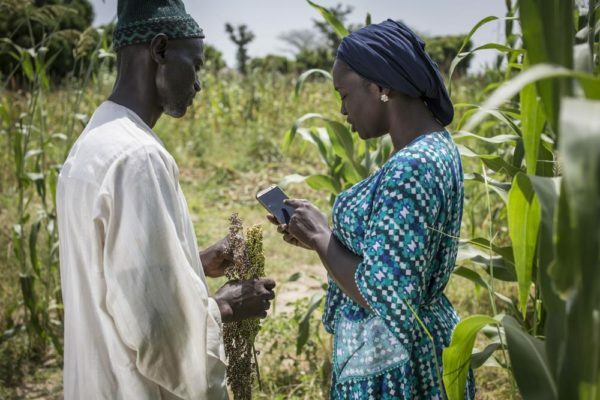 “Jokalante is a platform set up by a consortium of international organisations within the framework of the project TIC Mbay (TIC refers to agriculture, in Wolof). We promote innovative solutions to challenges in agriculture via radio spots and telephone messages,” explained the founder. The platform’s distinguishing features? The good word is broadcast in one of the five most widely spoken languages in Senegal and interactivity is Jokalante’s golden rule. Listeners are invited to share opinions and discuss experiences with the widest audience possible. The company’s current activities reach 11 regions of Senegal through community radio stations, more than 50,000 people via telephone and just over a million listeners thanks to the radio broadcasts. Jokalante is also collaborating with USAID Senegal on the prestigious New Alliance ICT Extension programme. Along with her five employees, it’s safe to say that there’s never an idle moment for Ndeye Amy Kebe Sylla! At 33, she’s already thinking of extending Jokalante’s scope into the neighbouring Gambia via a programme to promote good nutritional habits among young children. “Agriculture is at the core of our activities: it’s the key to development in Senegal, and in every African country. But the autonomy of farmers is an important issue, which is why we’re working on developing technology that’s easy to implement for them, and to set up a dialogue with them. We’re working on the idea of launching a web radio broadcast and a large-scale information platform to share our experience. We’d like to expand our activities into the sub-region, get a foothold there.” To get the word out, Jokalante places women at the core of its information network, and encourages them to lead debates. As proof of its dynamism, the company recently participated in an animal welfare campaign in partnership with a British NGO, and is currently organising awareness-raising campaigns on climate among farmers and fishers across the whole of Senegal. May the team have every success! Women in Businesses For Good” aims to reveal impactful innovations designed by women, and their potential to be scaled up or replicated elsewhere.We are certain that you will find these stories inspiring, and we encourage you to share them (#WB4G) and bring women’s creativity and initiatives to tackle global problems.